Every business needs financing. For your small business, getting enough money together can seem daunting, and you may feel like you must take out a bank loan. However, small business grants offer another option that help you avoid taking on added debt. Grants can lessen your financial risk and burden, and the government has invested millions in grants in order to help women entrepreneurs establish their businesses. 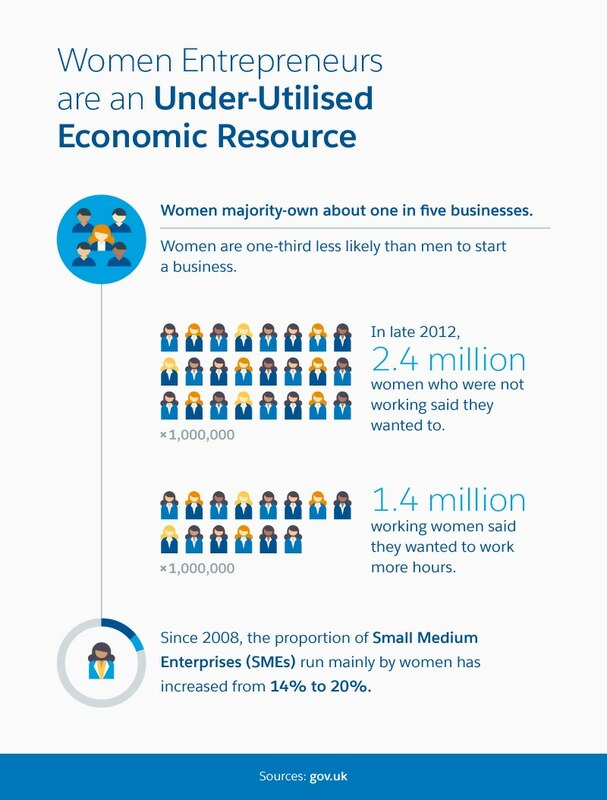 After all, research shows that “boosting female entrepreneurship could deliver approximately £60 billion extra to the UK economy.” Unfortunately, only 17% of UK business owners are women. Grants can help you push your business to the next level. Business grants can be a competitive field, and it’s important to note that “not all of the available small business grants are only for women.” Requirements vary: For example, some grants require your business to be up and running, while others may allow those still in the beginning idea and startup phase to apply. Others may require your business be in a certain industry or in a certain location. For anyone with a UK-based business outside London, including in Northern Ireland and Scotland, you will likely find many grants specific to your locale. Keep in mind that while most grants are non-repayable, some may be loans or partial loans. Make sure to thoroughly read and understand all information regarding stipulations, terms, fees, and other fine-print details. Sometimes these repayables have lower interest rates or other incentives that might make it worth taking on the debt. When you're ready to apply for small business grants, you need to have proper documentation and knowledge about your business. They also require a statement of purpose. You want to introduce the woman (or women) who owns your business, then explain its history, what inspired you to start it, and why your small business deserves the grant more than other similar businesses. If your application is accepted, grant organisations may require further actions in order to make their decisions. You may have to call a local council representative or present your startup idea before a panel. You'll definitely want to refine your elevator pitch. Your grant eligibility will depend on where in the UK you are located. Larger businesses, or businesses that have a better turnover, stand a better chance for getting business grants. For most women business grants, the eligibility is for people who run businesses with fewer than 250 employees. The European Commission defines the criteria for business funding. To be considered worthy of a grant, the application has to be closely scrutinized by the Commission. The objective for the grant is important. You have to mention what you want the grant for, such as improvement of working area, purchasing equipment and machinery, developing an export market, or expanding the number of employees. Grant providers have certain objectives in mind with the grants they provide. When they consider grant eligibilities, they see if giving out a particular grant meets with their predefined objectives. Look into these grants and ensure you give yourself enough time to prepare your application. Most appear to take applications online. There are many incubators, angel investors, venture capitalists, and more looking to help a technology business helmed by women. Because 86% of those working in tech in the UK are men, your business will stand out. If you want to add ecommerce to your B2B company, and you’ve been in business at least one year, this grant may be your solution. Businesses must be located in the Convergence area of Wales. You may be eligible for up to £10,000. This group of grants specifically focuses on those hoping to launch new technology and products in the technology space. For women looking for small business grants to take their idea and make it a reality, they can get almost 100% coverage. While not a traditional loan, the Outbox Incubator, an initiative run by Stemettes, instead provides education. It focuses on free STEM training for girls and young women under the age of 22. “RGF programmes are schemes run by national or local organisations that have been awarded RGF cash to offer grants and/or loans to eligible businesses.” Local funds are powerful, and there may be less competition for a grant that’s given to those in a more rural area. Eligibility requires businesses to be based in England and be unable to find funding elsewhere for the application. Make sure to check out your local council and gov.uk. For those looking to increase marketing spend or improve accounting, growth vouchers will give female entrepreneurs up to £2,000. It's never too late to learn about necessary skills such as PR for your women-owned small business. London may be the capital and economic hub of Great Britain, but if you're located in Scotland, there are great grants available. These programs allow for local economies to grow. If you're not in Scotland, make sure to research your own local area and council. This grant specifically targets small- to medium-size enterprises in Scotland. If you're doing any kind of research and development with a commercial endpoint, you could get up to £100,000 for a feasibility study and up to £600,000 for the R&D project. Anyone can apply for free for business rates relief, which can give money back to those whose businesses have a combined rateable value of £35,000 or less. For those paying less than £10,000, you may get relief at 100%. You must apply for this through your local council. If your business puts money back into the Scottish economy and is mainly funded through the private sector, you may be eligible for up to £10,000. This grant specifically focuses on growing the Scottish economy. If your business is in a niche market, you might find a grant specific to the industry. For a diversified and strong economy, businesses of all types need to be represented. For those in the arts space who live in Northern Ireland, the Arts Council provides a variety of grants. These cover anything from small businesses and those starting bands to apprenticeship programs and public art. This £8 million fund from the University of Chester assists businesses in the chemical sector. If your business is in the northwest of England, this fund can help buy equipment and enable other capital investment leading to regional job growth. Those in the childcare business can benefit from this grant. The grant is currently closed to applicants (as of November 2016), but will be re-opening with revised guidelines soon. This initiative can help small businesses in the hospitality industries located in Wales build their companies. If traditional banks turn down your small business loan, you may still be able to get them to loan you money. Not all businesses are turned away due to viability of business. Funding Xchange seeks to turn traditional bank loans into a crowdsource of banks: Instead of one bank lending you the full loan amount, up to nine banks will lend you different parts of your loan under one loan. Look no further than your fellow citizens: Recently, more peer-to-peer funding sites have popped up. There you can find a group of people willing to fund your business. Or maybe you'll decide to become a funder yourself. Some popular UK-based peer-to-peer loan organisations include RateSetter, Zopa, Lending Works, and Funding Circle. If you're a startup and are willing to take a loan, these companies specifically work to fund ideas and innovation in the technology space. Start Up Loans will loan up to £25,000 to start ups that qualify. Big Issue Invest works more like venture capital funding, focusing on social enterprises and charities. The Prince's Trust focuses on startups with founders between the ages of 18 to 30 with a low-interest loan. Finding funding can see daunting, but you can do it. There are tons of grants opportunities for women entrepreneurs. 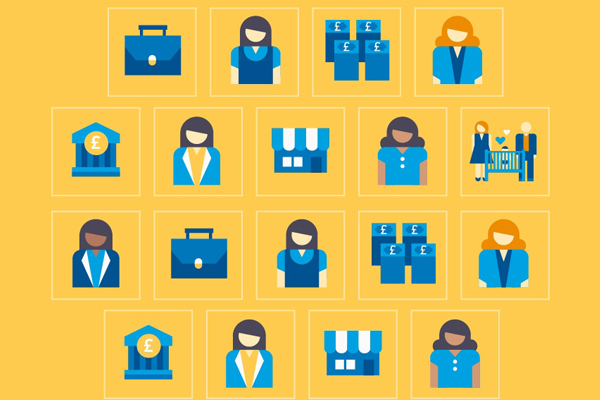 With the powerful effect women entrepreneurs have on the UK economy, financing a woman-owned business is an important step for both the business owner and the public.